Are you looking for a new mortgage loan? We will be glad to help! Give us a call today at 760-752-4480. Ready to get started? Apply Now. It can be helpful to see a mortgage professional early, even before you have determined the kind of house you hope to find. Why? It may be hard to understand how we could help even before you begin to talk about prices and negotiations. We can help you determine the loan amount you can qualify for and the mortgage payment amount you are able to afford by helping you pre-qualify. During this process, we explore your borrowing capacity - looking at your employment, money available for down payment, debts, income, and other circumstances. It's a short, thorough process with minimal risks for papercuts. At the point you are determined to be eligible, we prove our confidence in your ability to qualify for a loan by presenting you with a Pre-Qualification Letter (also called a "pre-qual"). After you locate a house that is best for you, and you decide to put together an offer, being pre-qualified for a mortgage loan will do several things. First, it helps you know how much you are able to offer. More important to the home seller, your being pre-qualified is like your having entered their front door with a bag full of money ready to make the deal! They won't need to wonder if that they have been wasting their time if you will not be able to qualify for a high enough mortgage loan. The seller of the home won't be concerned that he won't be able to trust you to qualify for your loan.Your qualifying for the necessary loan amount won't be something for them to be concerned about. You'll have the clout of a buyer ready to make the purchase on the spot! Our mortgage professionals will help you calculate the loan amount you can qualify for and the monthly mortgage payment amount you are able to afford by helping you pre-qualify. We can achieve this by analyzing your income and debts, your work and housing circumstances, the funds available for a down payment, required reserves, and some other things. 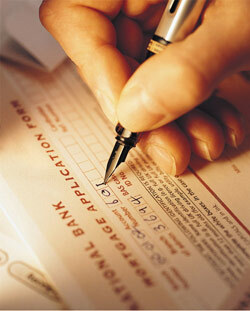 We require a minimum amount of paperwork, with a quick process. You can always use the calculators here on this website to get an idea of how much mortgage you'll be able to afford - but it's also essential to meet with us. For one thing, you'll need a Pre-Qualification Letter! For another thing, we may locate a different mortgage loan option that fits your goals better. Let us get you started: Call us at 760-752-4480. Have questions about pre-qualifying? Call us at 760-752-4480. It's our job to answer pre-qualification questions, so we're happy to help!